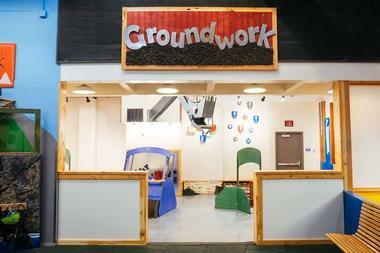 The Portland Children's Museum in Portland, OR has a unique premise - they want to encourage learning and discovery. All activities and events revolve around children. The play areas, labs and exploration are meant to help children achieve their greatest potential. It is for children ages 0-12. Adults can visit only if they are accompanied by a child. Straight ahead through the lobby is the Orientation Hall. A large area divided into twelve stations. Each station has a unique name and purpose.
. Water Works - This station is all things water; how it flows, the currents, defying gravity, flooding, etc. This is self-guided learning at its best with the hopes the child will grasp working with others, taking on a challenge and communication.
. Grasshopper Grocery& Butterfly Bistro - this station is set up like a real life grocery store and cafe. The children can shop, prepare a meal, serve, work the cash register, and other similar activities. The goal is to help children with communication, critical thinking, and making connections.
. Pet Hospital - Explore everything about medicine and how the body works at this station. Children get to examine their stuffed animals and view actual X-rays. This area encourages communication, critical thinking and making connections.
. Groundwork - Take matters into control; move the earth, dig, shovel, landscape; these are the types of activities one can do at this station. Learning how to take charge and seeing things from another's perspective are the key objections in this area.
. Theater - The children get to be the actors and present stories and plays.
. Twilight Trail - The kids can walk through the delightful forest and explore light and dark; shadows and color. They will learn how to take on challenges and communication.
. Vroom Room - This station has a large track laid out with cars, trucks, ambulance, bus, etc. and the kids get to "get behind the wheel" and try their skills at navigating. Key concepts are critical thinking, communication, seeing other perspectives and self control.
. Maker Studio - This studio allows a child to create something from recycled materials. Some of the life skills learned is self-directed learning, focus, self control, critical thinking and communications.
. Clay Studio- Does your child like to get their hands messy? The Clay Studio may be the place for them where they can squish and squeeze clay to make their own personal creation. If one wants to have their piece fired there is a small fee starting at $3. Glazing is also another option; fees also start at $3.
. Treehouse Adventure - Explore a cozy nook while you read a book. This is self-directed learning in a quiet environment.
. Field Station - Placed just before the Outdoor Adventure, this space acts as a transition to get kids ready to go out. Also incorporates many outdoor/nature items to explore.
. 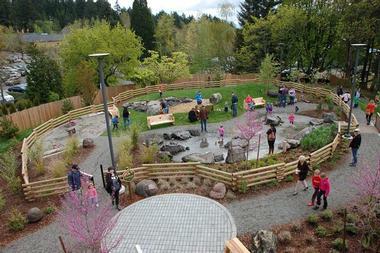 Outdoor Adventure - Outdoor spaces with over an acre of area to run, play, and explore. The kids will experience rocks, water, forts, insects, frogs, trees, meadows and much more. The Counter @ the Museum is the local cafe which opens when the museum is open. The cafe serves up deliciousness for breakfast and lunch; also great snacks. The Counter has gluten-free; dairy-free; and vegan options from which to choose. Soups, salads and sandwiches are all options on the menu. For breakfast try a bacon egg wrap, a bagel or yogurt and granola. Kid's meals are also on the menu including PBJ sandwiches, grilled cheese sandwiches, hot dogs, and cheese quesadilla. With a great variety of options, you can plan to stay all day and eat breakfast or lunch in between stations and adventures. The store has a broad range of items including toys and gifts, books, t-shirts and professional development curriculum. Perfect for visitors, teachers, staff, and families to find that perfect something they can't find anywhere else. Also a part of the museum is the Opal School. This is a preschool for children ages 3-5 and a charter elementary school for grades K-5. The goal of the school is to encourage creativity and imagination. The preschool, called the Beginning School, is tuition based. The annual tuition starts at $8,700. The daily schedule is 8:30 a.m. to 1:30 p.m. The school year runs from September through June. Also, an after school program is available until 5:00 p.m.; additional fees apply. There are four learning structures within the school: exploration, studio, story workshop, outdoor time and math and reading workshop. Enrollment is based on a balanced classroom including gender, diversity and age. Class sizes are small with two teachers per class. The charter elementary school is for kids in grades K-5. This is a public school and enrollment is conducted via a lottery. All applicants must live within the Portland School District. The education is based on the premise that each of us get to shape our own lives and decide how we will contribute to the community in which we live and the world beyond. Planned to stimulate creativity, critical thinking and design, the classes and camps at the museum are also fun adventures. With names such as Tiger Zoom, Artistic Authors, Creative Inventors, Outdoor Detectives, Inspired Artists, and Creative Inventors who wouldn't want to attend? The website details all the options and the registration information. Are you ready for a celebration? 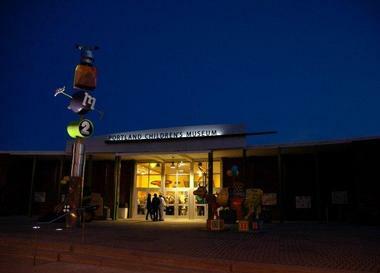 Host your next birthday party at the Portland Children's Museum. The party packages include space for up to 33 guests, admission to the museum and all the exhibits, and one can adds a craft to the party. The base package starts at $250. 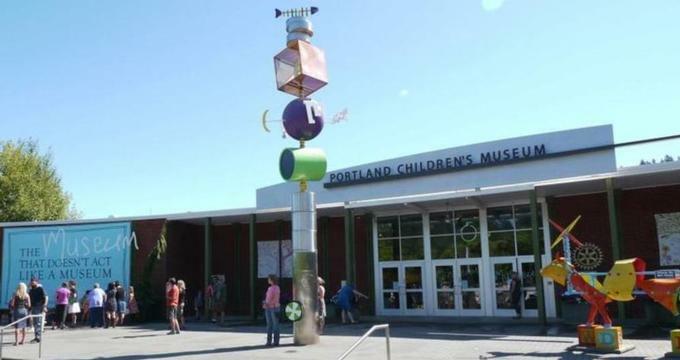 The Portland Children's Museum is an exciting place to visit, learn, explore and create. Built especially for children, the museum has the facilities, know-how and staffs to carry out fabulous programs that will help your child develop into a well rounded individual. Learning how to take charge, communicate, build networks, see other's perspectives, solve problems, use critical thinking, and be responsible are all qualities we look for in others who we work with, live with and play with. This museum is very popular and it is recommended you make reservations well in advance for any special programs, classes or camps. Portland Children's Museum has more to offer than what was presented here. Check out their website for all the details. Or, better yet, plan a trip to visit the museum and take in all the exciting activities in person. Connect with your child and make some lasting memories. The museum offers residencies for professional artists who desire to work with children and help them understand and create using a variety of mediums. There is a current call for artists during the 2016-2017 school year. To get to the museum, take exit 72 off on US Hwy. 76 (Southwest Sunset Hwy.) on to Southwest Canyon Road. The destination will be on your left. The museum is divided into different sections - each having their own purpose. On approaching the building there is some fantastical child-friendly sculptures; a great opportunity for some fun photos. Before entering the building, there is an exciting maze to challenge kids on their problem solving skills while having fun. As one enters the lobby you will find a cafe on the left with restrooms and locker space to the extreme left beyond the cafe. The lockers are available to store personal items and leave strollers behind. On the right one will find the store and a first aid station and small art gallery beyond the shop. Admission is free for members; prices start at $10.75 for non-members. The museum is open Monday through Friday from 8 a.m. to 5 p.m. The museum also promotes First Fridays which means free admission on the first Friday of every month during the 4:00 p.m. to 8:00 p.m. time slot.